Flavors, Colors & Good Life. 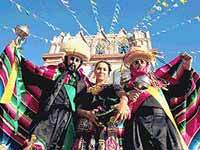 In Mexico, culture and tradition are seen as central to life and society. 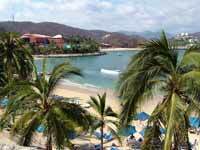 Mexican people are by and large warm and vivacious individuals with an incredible zest for life. Provided that you are respectful of local custom they will welcome you with open arms and show you all the best that Mexico has to offer. Mexico has changed rapidly during the 20th century. In many ways, contemporary life in its cities has become similar to that in neighboring United States and Europe. Most Mexican villagers follow the older way of life more than the city people do. 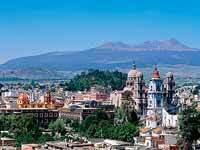 More than 75% of the people of Mexico live in cities of over 50,000 inhabitants. Large metropolitan areas include Mexico City, Guadalajara, Monterrey, and Puebla-Tlaxcala, while rural areas include small areas throrought Chiapas, Oaxaca, Guerrero, Sinaloa, Tamaulipas, Yucatán, Aguascalientes, Michoacán, and many more. The history of Mexico, like the country itself is both intriguing and elaborate. Historians have written entire manuscripts on ancient Mexican cultures such as the Aztecs and the Mayans. To explore the past of this colourful country in a few words is virtually impossible; this description includes only the most significant events and historical characters - Mexican history in a nutshell if you will. Mexican culture began in 20 000BC when hunter gatherers from Asia and Africa migrated to the West and settle in an area known as Mesoamerica. Following this, agriculture in Mexico began with the cultivation of corn, beans and vegetables by early civilizations in the southern regions. In the north, tribes continued to exist by gathering desert vegetation. During the Pre-Classical Period in Mexico, nomadic tribes settled permanently in the country. Agricultural, social and scientific discoveries were made by cultural groups such as the Olmecs and the Teotihuacans. This was followed by the classical period which sees incredible advances in art and architecture taking place. 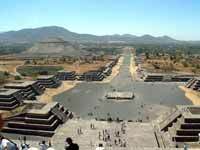 The Teotihuacan city-state of Teotihuacan became the urban centre of the New World and the economy grew from strength to strength. The Post-Classical period was dominated by influential and powerful groups such as the Toltecs, the Mayans, the Mixtecs and the Aztecs. Certain cities and cultural centres such as Tenochtitlan grew in size and strength and trading and building endeavours increased substantially. The period was brought to an end when Spanish conquistadors arrived in Mexico and set their sights on conquering Mexico's powerful urban centres. 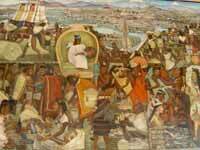 Tenochtitlan was captured first by the Spanish army under Hernan Cortes, marking the beginning of a period of colonialism in Mexico that was to last three centuries. Mexico was named New Spain and powerful Spanish leaders flocked to the country. Noteworthy developments during this period include the abolishment of slavery, growth of Christianity and establishment of schools, universities and art academies throughout the country. 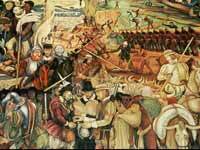 In the early 19th century, the War of Independence led by Miguel Hidalgo began. After 11 years of fighting the first Independent Mexican government is founded and Agustin de Iterbide became the first emperor of Mexico. The Federal Republic of Mexico was established briefly under President Guadalupe Victoria. A period of military conflict in Mexico saw the country briefly falling under the rule of the French Emperor Napoleon III. The country later regained independence and once again becoming a Republic under the rule of President Porfirio Diaz. Early in the 20th century. Roman Catholicism is the dominant religion in Mexico. After the conquest by the Spanish, Mexico's indigenous peoples readily accepted Catholic beliefs and practices, but they did so on the basis of their pre-Hispanic religious beliefs. The Virgin of Guadalupe, for example, was associated with the pagan goddess Tonantzin. As a result, Mexican folk Catholicism is frequently described as syncretic. 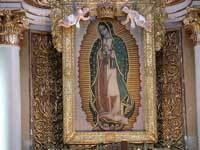 Catholic beliefs pervade the life of ordinary Mexicans. Because the Catholic Church has been a very powerful institution in Mexican history, its relationship with the state has at times been tense and sometimes openly hostile. In recent decades, Protestant missionaries have been particularly active in southern Mexico and among the urban poor. The most important practitioners are Catholic priests, who conduct regular masses and officiate over events Mexicans consider crucial such as birth, weddings, death, and quince años (the initiation ceremony for girls). Priests also perform more quotidian rituals such as the blessing of new houses or cars. As parish priests are profoundly involved in the social life of local communities, their influence reaches beyond religious matters. Mexico's most significant religious rituals are determined by the Catholic calendar. Easter ( Semana Santa ) is perhaps the most important of all. In different places within Mexico, the reenactment of the crucifixion of Jesus Christ on Good Friday is attended by great crowds. The largest is in Iztapalapa in Mexico City and attracts more than 100,000 believers. Representations and rituals of death play a prominent role in popular culture, art, and religion. 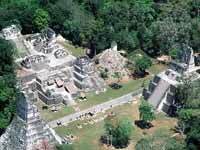 It has been suggested that this is related to pre-Columbian indigenous beliefs. Such rituals are most vigorously expressed in the festivities of the Days of the Dead, 1 and 2 November. On this occasion, Mexicans arrange altars for the dead in their homes with food, beverages, and other objects (such as skulls made of sugar or chocolate) to welcome them on their return to earth. Many Mexicans also visit churchyards and adorn the graves with large orange flowers. They will spent some time by the grave praying but also sharing memories about the deceased. The so-called Mexican cult of the dead has attracted much attention abroad. Statutory holiday: Holidays observed nationwide. Employees and schools (private and publics) are entitled to a day off with regular pay. Civic holiday: These holidays are observed nationwide, but employees are not entitled to a day-off. 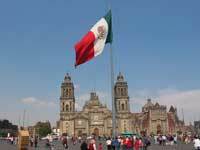 In Mexico the holiday Dia de la Independencia is about Mexico becoming free from Spain. This is celebrated on Sept. 16th. Many schools are off and parades are held. February 5th Constitution day Día de la constitución Celebrates the Promulgation of the 1857 and 1917 Constitutions. March 21st Benito Juárez´s birthday Natalicio de Benito Juárez Commemorates President Benito Juárez's birthday on March 21st, 1806. (Third Monday of March). May 1st Labor Day Día del trabajo Commemorates the Mexican workers' union movements. September 16th Independence Day Día de Independencia Commemorates the start of the Independence war by Father Miguel Hidalgo y Costilla in 1810. November 20th Revolution Day Día de la Revolución Commemorates the start of the Mexican Revolution by Francisco I. Madero in 1910. (Third Monday of November). December 1st Change of Federal Government Cambio del Poder Ejecutivo Federal Every six years, when a new president sworn in office. December 25th Christmas Navidad Christmas celebration; secular and religious holiday. In addition to these dates, it is a statutory holiday the date designated by Federal and Local Electoral laws to carry on an electoral journey. February 19th Army's Day Día del Ejército Celebrates the Mexican Army on the Loyalty Day ("Día de la Lealtad"), when President Madero was escorted by the Cadets of the Militar College to the National Palace. February 24th Flag Day Día de la Bandera Celebrates the current Flag of Mexico and honors the previous ones. Flag Day was implemented by President Lázaro Cárdenas in 1937. March 18th Anniversary of the Oil Expropriation Aniversario de la Expropiación petrolera Celebrates the Oil Expropriation by President Gral. Lázaro Cárdenas in 1938. April 21st Heroic Defense of veracruz Heroica Defensa de Veracruz Commemorates the defense against the United States occupation of Veracruz in 1914. May 5th Fifth of May Cinco de Mayo Celebrates the victory of the Mexican Army, led by Gral. Ignacio Zaragoza against French forces in the city of Puebla, on May 5, 1862. Also widely celebrated in the United States. US "celebration" of this Mexican historical event is largely a result of promotions in the US by liquor, beer, and bars/taverns/clubs/restaurants since the 1980s. For many years Cinco de Mayo celebrations in the US promoted Cinco de Mayo as Mexican Independence Day which is actually September 16. Although Mexican citizens feel very proud of the meaning of Cinco de Mayo, it is not a national holiday in Mexico, but it is an official holiday in the State of Puebla where the mentioned battle took place. May 8th Miguel Hidalgo's birthday Natalicio de Miguel Hidalgo Commemorates the birth in 1753 of Miguel Hidalgo y Costilla, the initiator of the Mexican Independence War. June 1st Marine's Day Día de la Marina Celebrates the Mexican Navy. September 15th Cry of Dolores Grito de Dolores Celebrates the Grito de Dolores, an event that marked the start of the independence war against Spain on the eve of September 16, 1810. It took place at a church chapel in Dolores Hidalgo, Guanajuato, led by a Creole Catholic priest Miguel Hidalgo y Costilla. September 21st End of Independence War Consumación de la Independencia Celebrates the end of the Mexican Independence War on 1821, 11 years after Father Hidalgo started it. October 12th Columbus Day Descubrimiento de América Commemorates the Discovery of the Americas in 1492 by the Italian navigator Christopher Columbus. January 6th Epiphany Día de los Santos Reyes Celebrates the Biblical New Testament story of the arrival of the three wise men who each brought a gift to the Christ child. Traditionally, children receive toys, and people buy a pastry called rosca de reyes. Anyone who bites into the bread and finds a figurine of the Christ child must host a party for the Day of Candlemas (February 2). It is not a state holiday. February 14th Valentine's Day Día de San Valentín Celebrates amorous unions. On this day, traditionally, men give chocolates, flowers, jewelry, dinner and serenade to their special women, as well as to their female friends. It is not a state holiday. April 30th Childern's Day Día del Niño Honors all the children. It is not a state holiday. May 10th Mother's Day Día de las Madres Honors all the mothers throughout the country. It is not a state holiday. May 15th Teacher's Day Día del Maestro Honors all the teachers throughout the country. It is not a state holiday. May 23rd Student's Day Día del estudiante Honors all the students throughout the country. It is not a state holiday. November 1st All Saint´s Day (Day of the Dead) Dia de Todos los Santos Honors dead relatives and/or friends (who were less than 18 years of age and unmarried) with candles, food and flower offerings, altars, and pre-Hispanic and Christian rituals. It is not a state holiday. 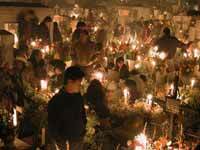 November 2nd All souls' Day (Day of the Dead) Día de los Fieles Difuntos Honors dead relatives and/or friends (who were more than 18 years of age or married) with candles, food and flower offerings, altars, and pre-Hispanic and Christian rituals. It is not a state holiday. December 12th Day of the Virgin of Guadalupe Día de la Virgen de Guadalupe Celebrates the day that Our Lady of Guadalupe appeared on Tepeyac hill to the native Juan Diego Cuauhtlatoatzin. It is not a state holiday. December 16th - 24th The Shelters Las posadas Commemorates the Biblical New Testament story of Joseph and Mary's search for shelter in Bethlehem. 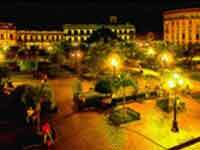 Consists of candlelight processions as well as stops at various nativity scenes. December 24th Christmas Eve Nochebuena Celebrates the eve of the nativity of Jesus, as both a secular and religious winter holiday. The traditional treats for this holiday are buñuelos, tamales and atole or champurrado. Sometimes they eat gelatina de colores (different flavors of Jell-O and a milk based Jell-O mixed together to make a colorful treat) Las Posadas are celebrated nine days before Nochebuena, usually accompanied by a piñata party for children and dance music for adults. December 28th Day of the Innocents Día de los Santos Inocentes On this day, people pull practical jokes on each other. It is equivalent to the U.S. version of April Fools' Day (April 1). People must not believe anything that other people say nor let them borrow any amount of money. If any person has fallen victim of the joke, the person pulling the joke will say ¡Inocente palomita...!, literally meaning 'Innocent little dove' (equivalent to saying April Fools!). Mexico's weather is difficult to predict as typical weather patterns within the country vary significantly from region to region. The winter months extend from November to May and the summer months run from June to October. On the whole the climate is relatively mild, making it possible to visit the country at any time during the year. 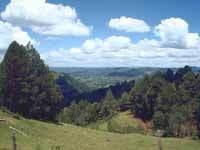 Mexico's climate mimics its countryside in the sense that it changes so dramatically from area to area. When traveling from the coastal regions to the mountainous inland areas you will find it hard to believe that you are still in the same country. In summer, inland areas such as San Cristobal seldom get hotter than 72 degrees Fahrenheit, while in coastal regions such as Acapulco and Merida thermometer readings often top 92 degrees Fahrenheit. As winter approaches, coastal areas become dryer and humidity and temperature levels decrease. Average temperatures seldom dip below the 65 degree mark, meaning that it is possible to still get a decent tan even in mid February. By contrast, you'll need to wrap up warmly in the mountainous regions where minimum temperatures drop as low as 40 degrees in some parts. Mexico's rainy season falls during the summer months, and precipitation varies from place to place within the country. The northern areas are usually dryer, while inland and further south rainy spells occur far more frequently. During the late summer months inland roads are often washed away by torrents of water, so if you are planning a road trip make sure you consult news and weather reports first. While it is possible to visit Mexico any time during the year, certain months are undoubtedly better than others. Extreme heat and humidity make the low-lying coastal regions almost unbearable from June to October. Tropical storms and hurricanes are also known to hit the coastal areas during this period making recreational activities such as sailing impossible. For this reason its better to stick to the more temperate highland areas during the summer months and save tropical coastal resorts such as La Paz and Acapulco for winter months when it is cooler. November is seen as one of the best months to visit coastal areas as temperatures are mild and prices are reasonable. The only exception to this rule is diving vacations which are best left until March or April. The reason for this lies in the fact that top diving areas such as Cozumel and Cancun have a second rainy season from November to January. This often results in unfavourable conditions and poor visibility and in many cases renders boat launches totally impossible.